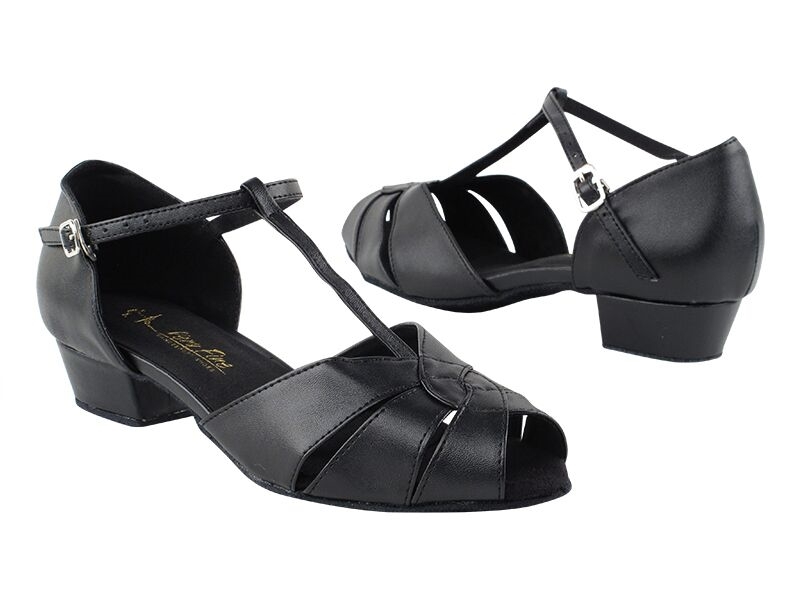 T-strap ladies flat heel open toe dance shoes 6006FT. Ladies flat heel Latin dance shoes. These ladies open toe dance shoes have a t-strap and flat heel for comfort! width: medium -Sizes 4.5-10. There are 3 color options: black leather, tan leather and silver sparkle, all with suede soles. Discount open toe ladies ballroom dance shoes with quick release buckle.